Local charities are seeing nearly double their usual requests for assistance because of the partial federal shutdown, "with more requests coming in each day." WASHINGTON — Charities are describing spiraling demand for their services amid the partial federal shutdown. 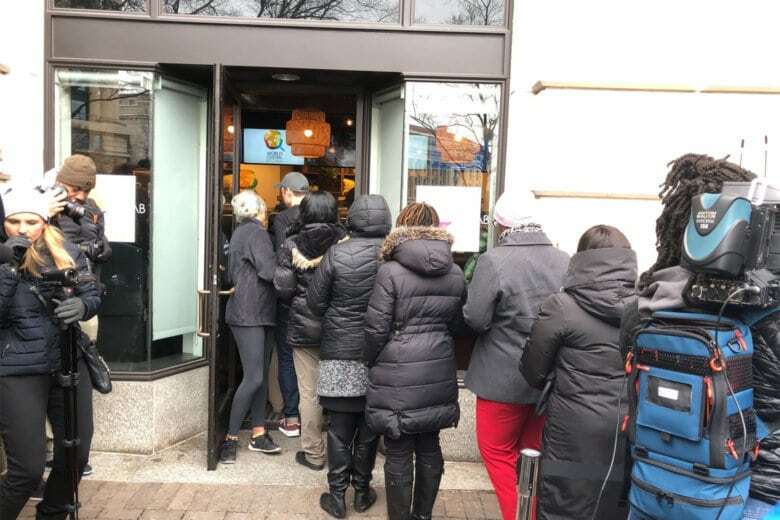 Montgomery County’s Manna Food Center has received requests for food from nearly 90 families, representing 275 people, claiming to be affected by the shutdown, according to Jenna Umbriac, the director of programs. That’s nearly double their usual number of requests over this time period, she said. Silver Spring-based A Wider Circle has been raising money to buy grocery store gift cards for affected families. It has received 120 requests for assistance, “with more requests coming in each day,” said the group’s chief of staff, Beth Makal. While the overwhelming majority of the requests are from federal employees, “We’ve also heard from contractors, a few folks worried about losing benefits, and even an Uber driver who has lost business,” Makal said. Umbriac and Makal spoke to a Montgomery County Council committee looking into the impact of the partial federal shutdown.